JAMESTOWN, N.D. (NewsDakota.com) – U.S. 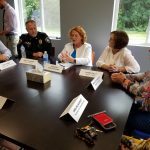 Senator Heidi Heitkamp today toured Mary’s Place, a new facility to provide emergency shelter, resources, and transitional services for victims of domestic and sexual violence in the Jamestown area. 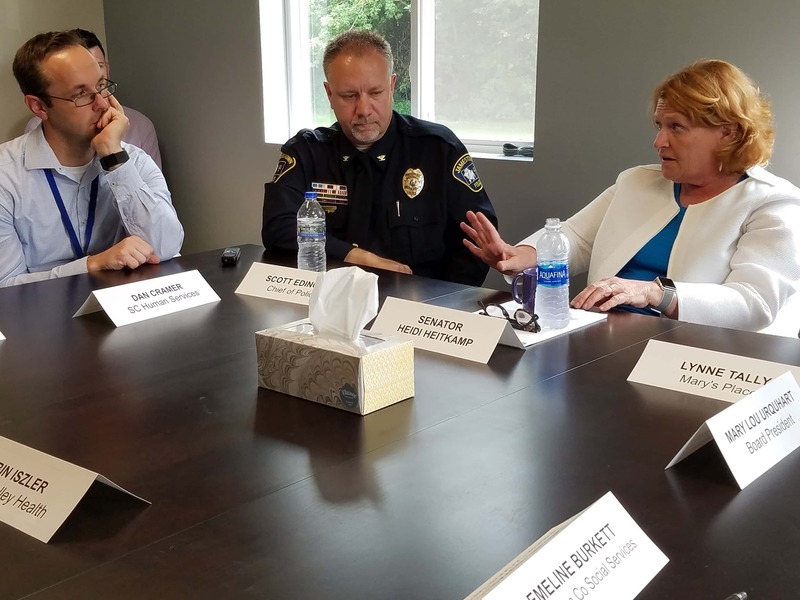 Following the tour, Heitkamp sat down with group leaders and law enforcement to talk about domestic violence in Jamestown and Stutsman County. 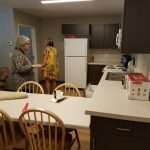 Safe Shelter Executive Director Lynne Talley says originally, she didn’t want to create an emergency, transitional shelter. The $1.3 million center was constructed and finished in June, officially opening June 28th. Talley says this new space will give domestic violence victims space and a place to heal. 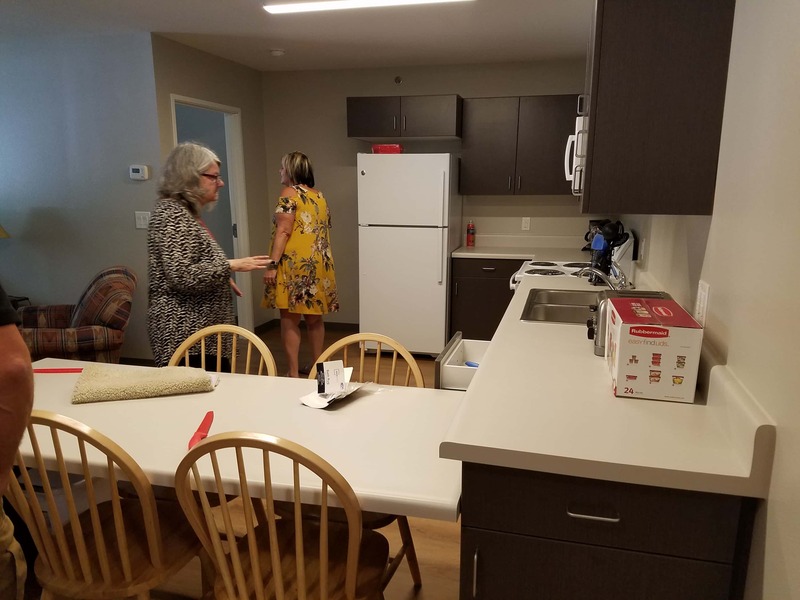 A generous donation by Mary Newman helped propel the project forward. 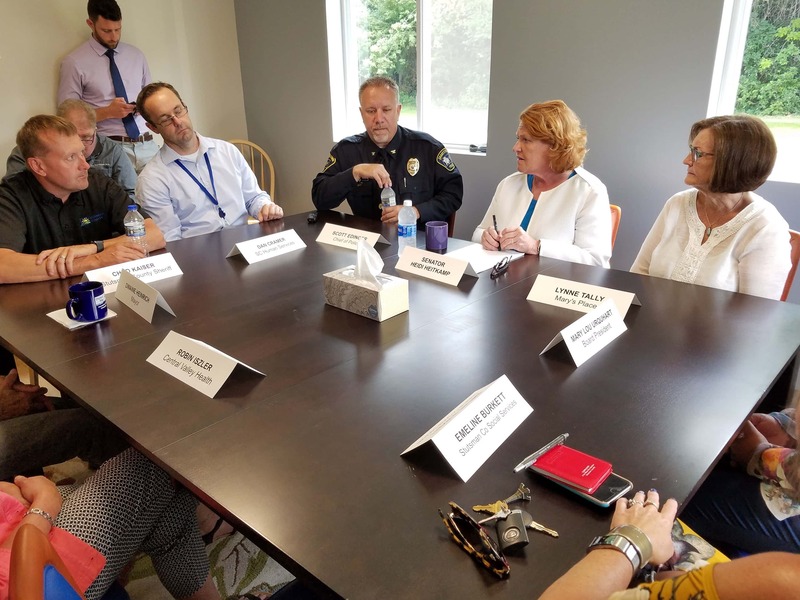 In one survey, 51.5 percent of U.S. domestic violence victims who sought housing services did not receive them, meaning they may have been forced to stay in or return to an abusive environment. 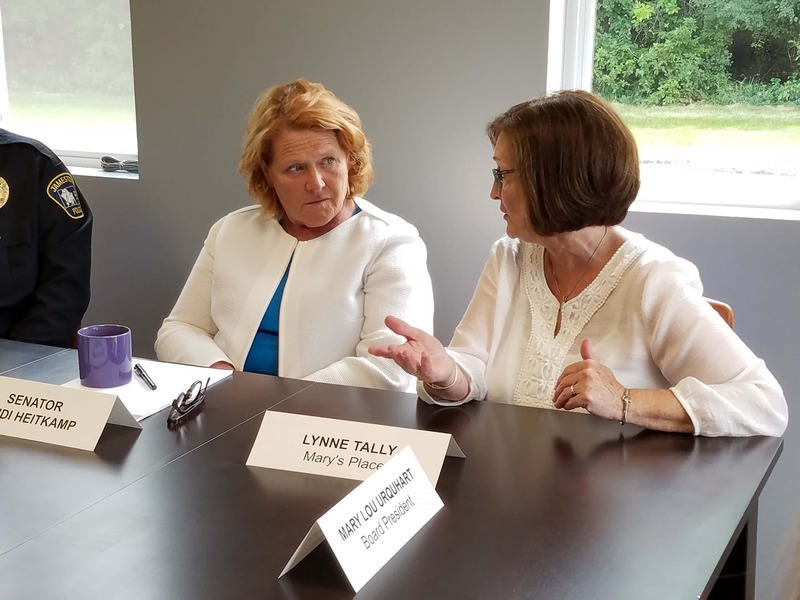 And on just one day in 2016, 80 percent of unmet requests for emergency domestic violence services in North Dakota were related to housing. 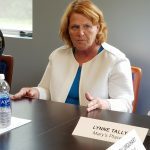 Following a tour, Heitkamp held discussion on domestic violence in the community and county. 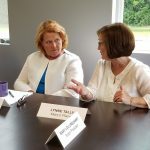 She talked about how critical it is to combat domestic violence and the progress that has been made to stop domestic violence and support survivors. 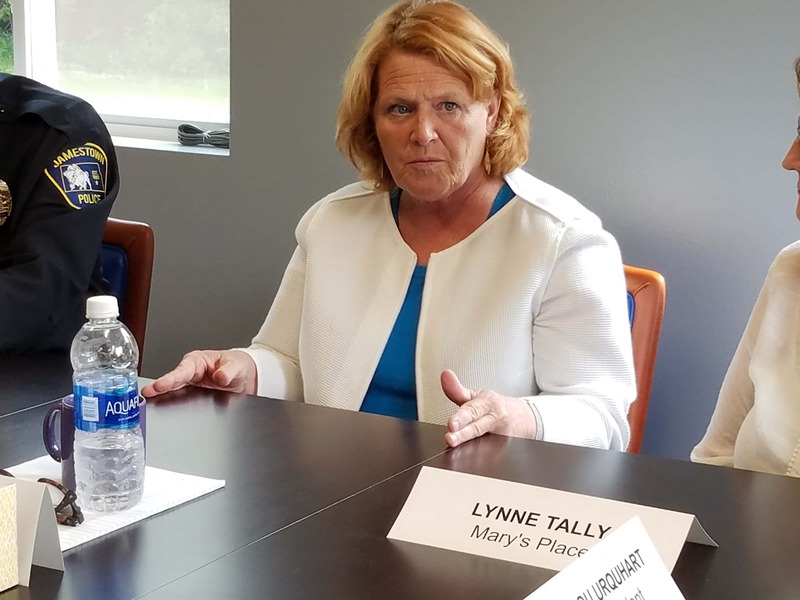 In some cases, Heitkamp says she sees young kids being affected by domestic violence in the schools. 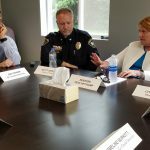 Jamestown Police Chief Scott Edinger says he’s seen in in Jamestown’s Schools before. 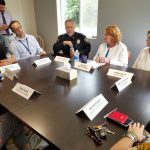 Dan Cramer with the South Central Human Services Center stated that treatment is important, but it’s only part of the puzzle to helping solve not only domestic violence, but also the opioid crisis. 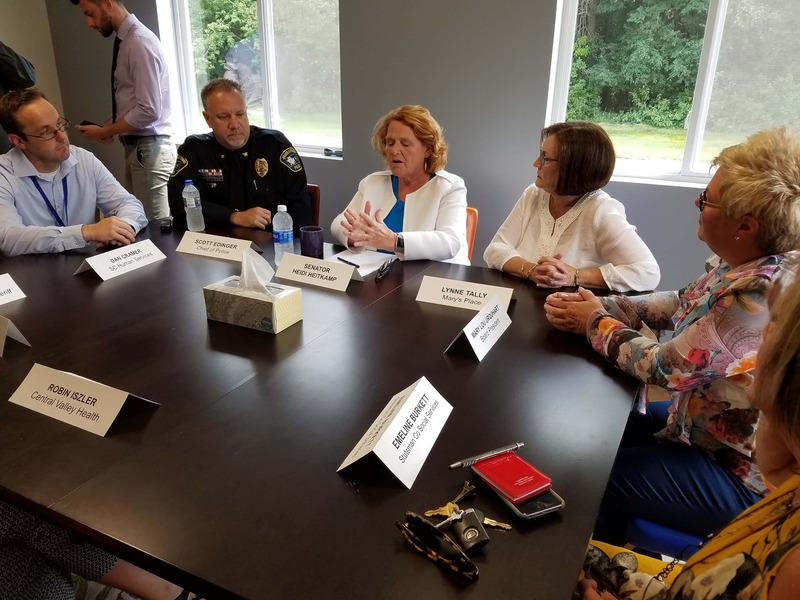 Heitkamp says while federal programs and grants help all agencies with combating domestic violence, all those agencies should look at collaborating to make the most out of those dollars.